Help your students fund their college dreams! The Architects Foundation is the philanthropic partner of the American Institute of Architects, a professional membership organization that champions the essential role of architects—and architecture—in designing a better world. Research shows that women and members of other marginalized groups make up a small percentage of the science, engineering, and architectural workforce. Let’s change this! Here are some of the best STEAM scholarships available to students looking to pursue degrees in these fields. Share these with your students, parents, and fellow educators. Together, we can encourage and diversify the next generation of architects, engineers, creators, and innovators. The Diversity Advancement Scholarship, a multiyear scholarship of up to $20,000, helps minority students pursue successful careers in architecture. The Diversity Advancement Scholarship supports undergraduate minority students who are entering, enrolled in, or transferring into a National Architectural Accrediting Board (NAAB)–accredited undergraduate architecture degree program. To promote this scholarship at your school, save and print this poster or share the image on social media. 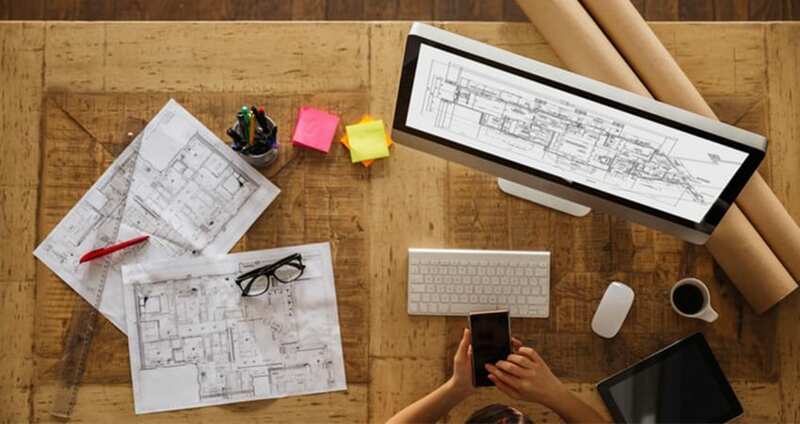 Be high school students planning to enroll in an NAAB-accredited architecture degree program or be rising second-year college students in an NAAB-accredited architecture degree program. Applicant may also be a technical school or community college student who has completed high school or its equivalent and intends to transfer to an NAAB-accredited architecture program. What to expect when applying: Students will need to provide information related to gender, race, and age; school information, including GPA, transcripts, and all NAAB-accredited programs applied for; financial information, such as estimated college expenses and other sources of financial support; a personal essay related to architecture; a résumé, including extracurricular activities and work history; two letters of recommendation; and two samples of creative work (sketches, photographs, sculptures, etc.). Get materials to share with your students. The Blacks at Microsoft Scholarship is a renewable $5,000 scholarship for outstanding black high school seniors who are interested in pursuing careers in technology. Be a high school senior of African descent. Plan to attend a four-year college or university in the fall of the year following high school graduation. Pursue a bachelor’s degree in engineering, computer science, computer information systems, or select business programs (such as finance, business administration, or marketing). Show a passion for technology and leadership at school or in the community. What to expect when applying: Students will need to provide demographic information; school information, including GPA and transcripts; two letters of recommendation; a résumé including work experience, extracurricular activities, and awards; a photo; and two essays. Apply for this scholarship now. Try the Society of Women Engineers Scholarships. You’ll find a variety of one-time and renewable scholarships offered to incoming freshman women pursuing a degree in engineering. Be US citizens or permanent residents of the United States. Have a minimum unweighted GPA of 3.5. Be full-time students, except for reentry and nontraditional applicants. What to expect when applying: Students will need to provide transcripts; an acceptance letter from a college or university indicating acceptance into an Accreditation Board for Engineering and Technology (ABET)–accredited engineering or computer science program for the upcoming academic year; a résumé; one letter of recommendation from a STEM teacher; and one letter of recommendation from an individual who knows the student well but is not a relative. The Hispanic Engineer National Achievement Awards Conference (HENAAC) Scholars Program is a renewable scholarship of up to $10,000 per year for Hispanic students pursuing a STEM-related degree. Be of Hispanic origin and/or must significantly demonstrate leadership or service within the Hispanic community. Demonstrate merit through academic achievements, leadership, and campus/community activities. Be pursuing a science, technology, engineering, or math degree. Be enrolled in an accredited undergraduate or graduate program for the preceding fall semester at an accredited 2- or 4-year college/university in the United States or its territories. What to expect when applying: Students will need to provide transcripts with cumulative GPA; a 700-word essay; current résumé; one peer letter of recommendation; one letter of recommendation from a faculty member, teacher, mentor, advisor, counselor, principal, or dean; and a photo (used for publication purposes only). Try the Generation Google Scholarship. This scholarship awards $10,000 to high school seniors who are from an underrepresented group, including African Americans, Hispanics, American Indians, and Filipinos/Native Hawaiians/Pacific Islanders, and intend to study computer science. Plan to be enrolled full time at a university in the United States or Canada for 2019–2020. Be pursuing a computer science or computer engineering degree (or something closely related). Be a student from an underrepresented group. What to expect when applying: Students will need to have a current résumé; an academic transcript; a letter of reference from a STEM teacher; and answer several short questions. Teachers can have a huge role in helping their students plan for college and figure out which field of study to pursue. A lot of times, students don’t even realize all the possibilities open to them. (For instance, architecture is a STEAM career that has a valuable social impact on the world.) Be sure to check out the resources available from the American Institute of Architects to help your students discover the possibilities of a career in architecture. Do you know of other scholarships for minority students interested in STEAM? Please share in the comments. I'm a freelance writer and mom to two (usually) awesome kiddos. Raised by a teacher and married to a principal, all things education have a special place in my heart.